In June 2017 SAP relaunched a nascent product named after Leonardo Da Vinci to reflect its changing position from an IoT platform to a "digital innovation system" which encompasses machine learning, blockchain, big data and IoT technologies. Now, as research from the UK and Ireland SAP User Group (UKISUG) shows, of the 345 members surveyed, just six per cent plan on using Leonardo to support their IoT or machine learning projects, which admittedly is up from just two percent last year. While the figures represent a certain geography, lessons can be learned across Australia, New Zealand and the wider Asia Pacific region. A statistic that might most worry Stephen Jamieson, head of SAP Leonardo for the UK and Ireland, however, is this: 25 per cent of users responded with a resounding 'no' when asked if they would use Leonardo to support these efforts, which is trending in the wrong direction as compared to 18 per cent last year. Speaking to Computerworld UK during the UKISUG conference in Birmingham this week, Jamieson seems unfazed. He said: "When I look at the interactions that I am having and we are having as a team with our customer base and I see a very strong, positive trend towards understanding, exploring, questioning the capabilities of machine learning in the context of business processes, looking at the opportunities IoT might bring to extend a business process. "Over the past 10 months that kind of conversation has gone from being fairly nascent to something that is very core to every engagement that we have, so I see a strong positive trend." He also said that the Leonardo innovation lab in Feltham has had "high footfall of customers coming through to explore different technologies and applications and different ways of doing things". He added that a "very solid and healthy proportion of the open innovation work that happens in our customer base is generally partner led" through the Partner Medallion Initiative launched at the Sapphire conference earlier this year. Paul Cooper, the UKISUG chairman, who helped run an SAP IoT Symposium in Dublin earlier this year, told Computerworld UK that he was "surprised that [figure] was as low as it was". He admitted that there could be some remaining confusion in the market regarding the unwieldy beast that is Leonardo, but that also "there's some really good use cases out there and partners, particularly Bluefin, have got some good stories to tell". "You can see that the using population isn't as far advanced as the selling population would like them to be," he added. "For some organisations it will be appropriate to do stuff straight away, and for others they will need to get their head around it." Responding to this, Jamieson agreed that potential Leonardo customers can be split into two distinct sets. "You are either going through a process of having bought some technology or capabilities and you are in the process of getting those delivered and into your organisation," Jamieson said. "Or you are in a slightly more inquisitive mode and looking at new opportunities and ways of doing things. Where Leonardo really strikes a chord is those people on an inquisitive track." The difficulty with Leonardo is that it is, by definition, a differentiator for organisations, so they might be reticent to share their use cases publicly. As Jamieson put it: "Organisations are generally trying to use innovation to differentiate themselves and find their own purpose and unique role in the marketplace, so a lot of what we are dealing with is very specific and unique problem statements that really are only relevant to that category of one. "That's where it is really worth spending the time and if you can scale that across your organisation, there are enormous gains to be had." That being said, he is particularly fond of one: Lloyds Register, a UK charity which has thousands of field workers who assure industrial assets, from nuclear power stations to a pressure vessel in an oil refinery. "We are working to augment their engineering workforce with innovation technologies, combined with our asset intelligence network, which allows us to provide digitalised services," he said. He used the example of the 1999 Air France 447 disaster. "They will talk about how that was a consequence of human failure, machine failure and environmental factors," he said. "So what they are looking at now is how to use human-centred design to look at the risk factors of the aircraft and bring new innovative technologies to design out those critical risks. "Using IoT and machine learning to help design much more targeted solutions to help assure major industrial assets." He also added that the mid-market has proved particularly fruitful in the UK, because "in that part of the market there are a lot of organisations that are early in their journey and how they can be disruptive themselves". 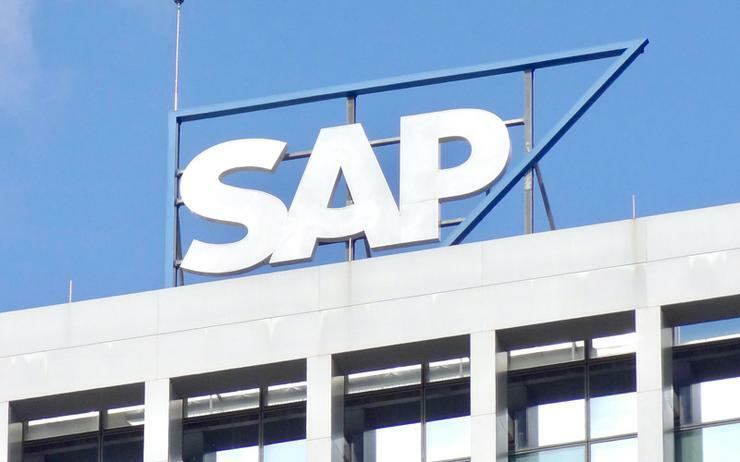 Amidst the indirect licensing furore, SAP has been busy over the past couple of years reckoning with its pricing and licensing models, finally producing a new 'transparent approach to pricing' in April. Although this is directly associated with its core ERP software, Jamieson said that "the spirit of being outcome driven is very much at the core of Leonardo". He also admitted that Leonardo, by its very nature, is difficult to price for customers at that early inquisitive stage because of the bespoke nature of the product and the variety of technology they bring to bear. He said: "I think the practical reality of that in terms of day to day conversations means that at the end of the day Leonardo is about delivering solutions where both the problem and solution are as yet undefined, and that is really our starting point. So by its nature you don't know the problem, you don't know the solution so you don't know the price. "But that's OK, because what we are doing is spending the first exploration and design and prototyping activities as part of the cost, so we will be able to give clarity on pricing once we have clear understanding of the problem and solution, so it's about quickly getting to the point of understanding the value of what is on offer and making sure we can meet that with a price quickly and simply." The Innovation Kits on the other hand are more fixed in their pricing. One of Jamieson's big initiatives over the past year has been Plastics Cloud, which is clearly a passion project for him thanks to his six-year-old daughter's input. "She was watching BBC Blue Planet II and couldn't sleep and she basically said: 'Daddy, you work for a massive company you must be able to do something?' After thinking about it I did realise that we do touch 77 per cent of the world's supply chain and have an amazing portfolio of innovation," he said. "So with Leonardo we have this method to bring people together and democratise solutions, so that's what we set out to do, to bring our customers together and explore what a solution might look like and really live that purpose." Jamieson admits that SAP doesn't have all the answers, and that collaboration will be key to getting any sort of tangible results. "I think what's interesting with plastics is you have a moment of alignment between business will, technology ability and public and political demand," he said. "Generally businesses do want to do the right thing, take [major SAP customer] Unilever, they are very passionately wanting to demonstrate that they are tackling this." As a result SAP UK&I has joined the UK Plastics Pact as a technology partner to collect data from across the plastics supply chain to allow for real time information sharing, which the company hopes will provide the bedrock to spark new ideas for solutions to the problem. "The Plastics Cloud will use the power of SAP Leonardo's technology, including machine learning, to compile information which can be used to forecast trends in plastics purchasing and recycling, enabling services to meet demand," the vendor announced in a press release.